Black Turkeys, sometimes referred to as Black Spanish Turkeys or Norfolk Black Turkeys, were developed in Europe from a group of Aztec turkeys brought from Mexico in the 1500's. Today they are found throughout Europe and are considered the oldest turkey breed in the UK. Black Turkeys have a lustrous greenish-black plumage. Black Turkeys were sent in the holds of ships on the transatlantic crossing from Europe to the New World, and were raised by early colonists. Ironically, it is likely that the turkey consumed at the first Thanksgiving meal may have actually been from European birds, rather than wild turkeys native to the continent, though these descended from same bird. Later, Black Turkeys were crossed with wild turkeys to help produce other breeds such as the Bronze, Narragansett, and Slate Turkeys. 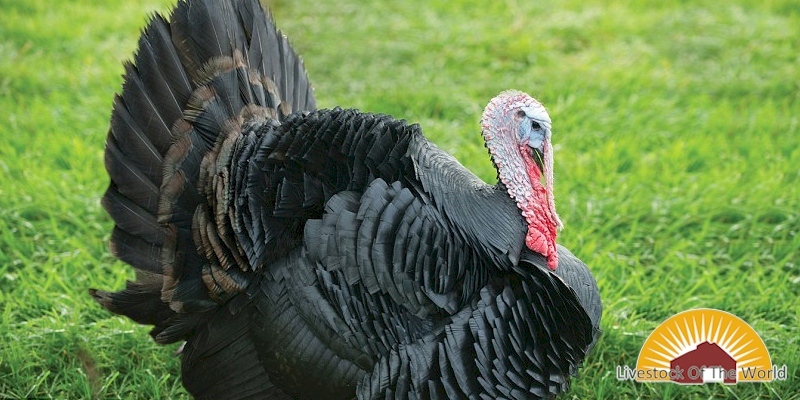 They remained a commercially farmed variety in the U.S. until the early 20th century, but fell out of favor after the development of Broad Breasted Bronze and Broad Breasted White Turkeys.